A Magical Christmassy evening was had by all on 29th November at East Molesey’s Christmas Fayre. 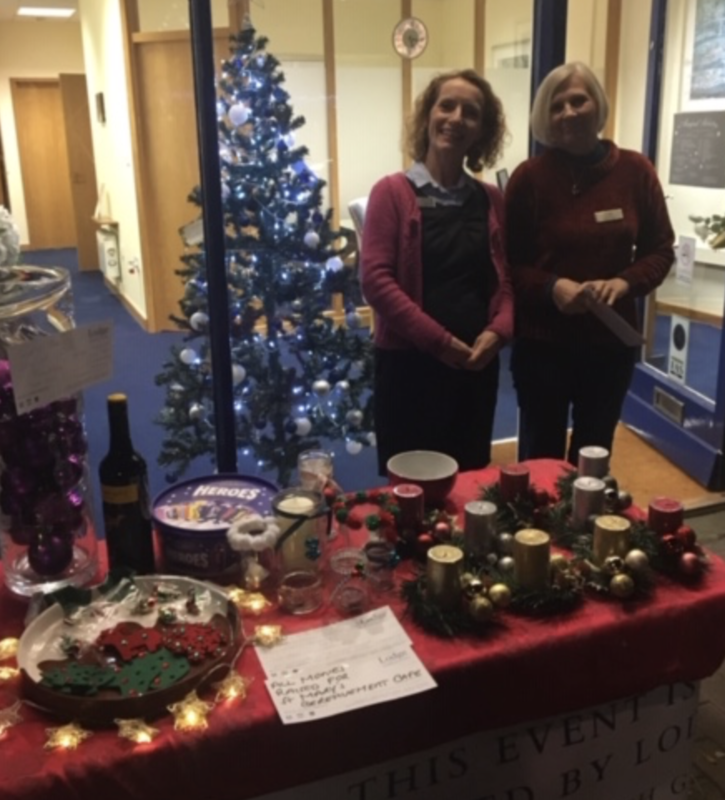 With local school children carolling and stalls aplenty, branch arrangers Ann and Carol raised £41 with ‘guess the number of baubles’ and selling a table full of Christmas gifts, handmade by District Manager Victoria. The district has boosted the funds to £60 and will present it to St Mary’s Church Bereavement Cafe so they can continue supplying a wonderful service to all who need them. Well done to local girl Clarissa who successfully guessed the number of baubles winning a huge tub of chocolate for her and a bottle of wine for her mummy!